Hotels focus on local art. Hotels want to reflect the culture of their area. So they feature local artists as cultural ambassadors. The Nines “celebrates the talent that has made Portland the creative capital of the Northwest". Their 400-piece collection features commissioned works created by local artists. The establishment furthers its commitment to local arts by partnering with the Pacific Northwest College of Art. Guest rooms feature original works from PNCA and the hotel funds an annual scholarship. If you think about it, hotels are marketing platforms—places to showcase what the area has to offer. Arts and culture are a huge part of local economies and communities, so it makes sense that hotels would promote their unique artistic and cultural heritage. Stay tuned to local calls in your area! Be a part of an art tour. The Conrad in Indianapolis and its art partner, Long-Sharp Gallery, train Art Ambassadors as part of their art program. Depending on the exhibit, Long-Sharp Gallery’s team educates the Art Ambassadors on the works or brings in the artist to speak about his or her pieces. In this way, “Art Ambassador Training” provides insight into the exhibit and shares with the Art Ambassadors firsthand information about the works. Hotel team members then give tours to guests after receiving extensive training on the hotel’s rotating exhibits. Hotels have their own personality. Could one fit your artwork? 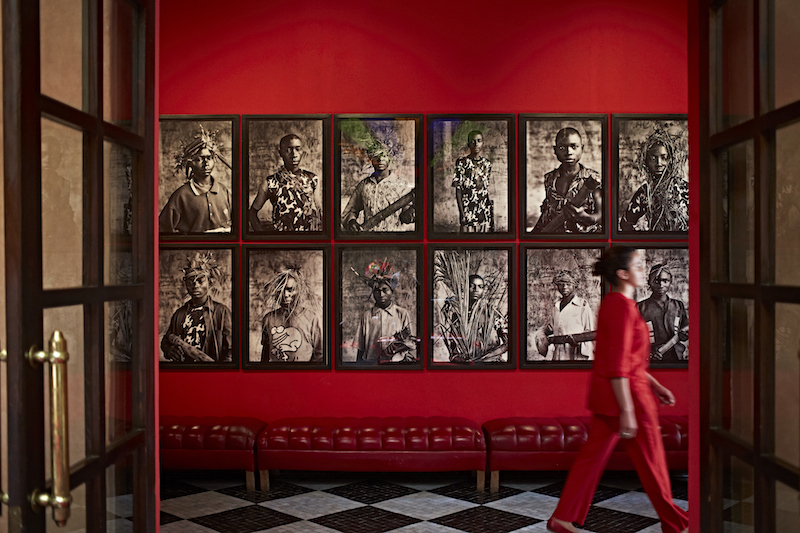 Hotels, like you as an artist, use their brand to define and differentiate themselves. Some hotels are slick and modern. Others are quaint and historic. Consider the glamorous Surrey in New York versus the eclectic Petit Ermitage in Los Angeles compared to the historic Fairmont Copley Plaza in Boston. Find a hotel that fits your brand. To entertain their guests, hotels offer artistic programming that you could become involved in, like hands-on painting classes or artist discussions. The Grand Wailea in Maui hosts beginning watercolor painting classes and encourages art conversations between guests and their local artists-in-residence. If your local hotel does not have events in place, it’s a great opportunity for you to offer your skills! Your art as a memorable gift. Your art can be part of a cherished, lifetime memory. When couples get married at La Posada de Santa Fe, also known as the “The Art Hotel of Santa Fe,” they have an opportunity to purchase an artwork to celebrate and commemorate their new beginnings, hopefully as avid art collectors. Get involved before the hotel opens its doors. The Gladstone Hotel in Toronto commissioned artists to design its hotel rooms before they launched in 2005. Each of the 37 rooms was designed by a different artist/designer/team. Connect with hotel owners that are collectors. If a hotel has an impressive art collection, chances are the owner(s) are collectors themselves. The owners’ passion for art trickles down into the very walls of their establishments. And the hotel owners can play a large role in the acquiring of the artworks. For instance, the 20th and 21st-century contemporary art collection found in the Hamilton Princess was selected by its owner. Tap into a new network and build strong relationships. Jenny Kimball, Chairman of the Board at the historic La Fonda on the Plaza, continues the hotel’s commitment to Pueblo artists. She acquires artwork for the Santa Fe luxury hotel through various methods—the famed Indian Market, auctions, galas, and her own personal relationships with artists. Be a part of a special project. Hotels celebrate birthdays too. 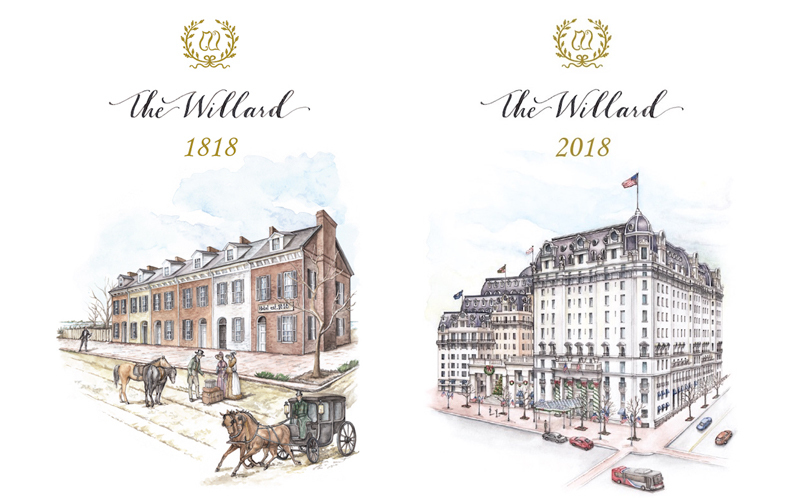 To commemorate its 200th anniversary, The Willard Intercontinental in Washington D.C. commissioned artist Serena Martin to illustrate its room key cards. The hotel’s marketing manager, Janet Scanlon, was on Instagram one day and came across Serena’ work. 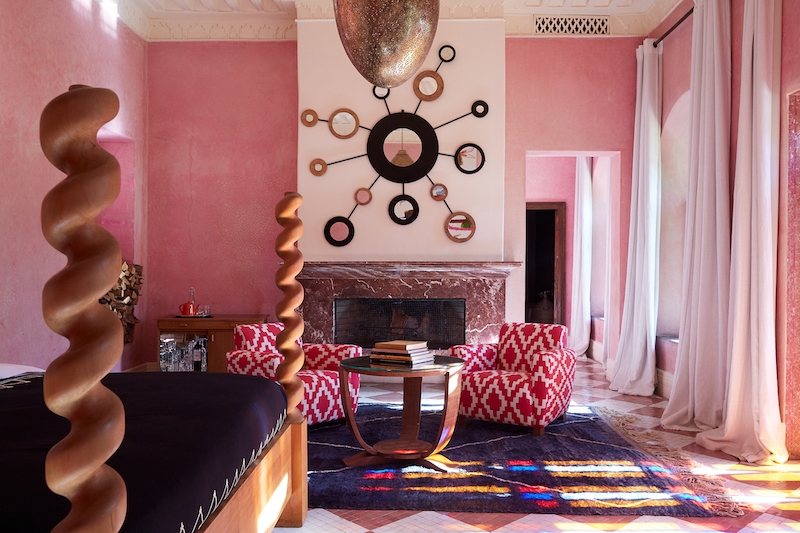 She was instantly drawn to Serena’s aesthetic and hired her for the project. And when asked if this was Serena’s first commission through Instagram she relayed that “Instagram has been the biggest driver for commissions since starting my business in 2015, and still is to this day.” You can learn more about how Instagram can boost your art business here. Sell your work in temporary rotating art exhibits. To keep their spaces fresh and return visitors delighted, hotels install temporary exhibits. La Posada de Santa Fe’s property used to be an artist’s colony so they commit themselves to Southwestern art. All of the art in the collection is for sale at the artist’s studio price. Hotels commission public art projects. Hotels looking to make an impact commission large-scale installations for places. Murals on exteriors and installations in lobbies are wonderful opportunities to surprise and delight visitors. 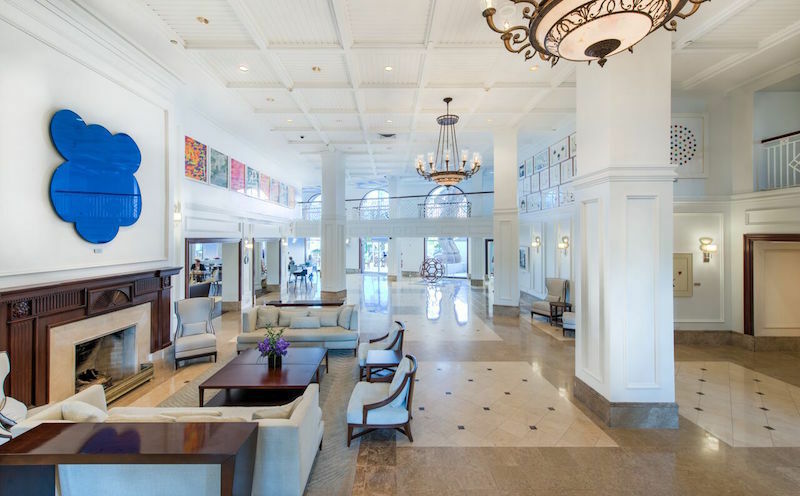 Some hotels are included in percent-for-art programs and depending on the size of the renovation or build, can produce significant budgets for art. A great example of a large budget is the Westin Denver International Airport. The city of Denver requires all public buildings to contribute one-percent of their construction dollars on large art projects. As a result, the hotel features $5-million worth of art and installations. There may be an opportunity for you! You can search for public art RFQs on Artwork Archive’s Call-for-Entry page. Want to get your foot in the (hotel) door? 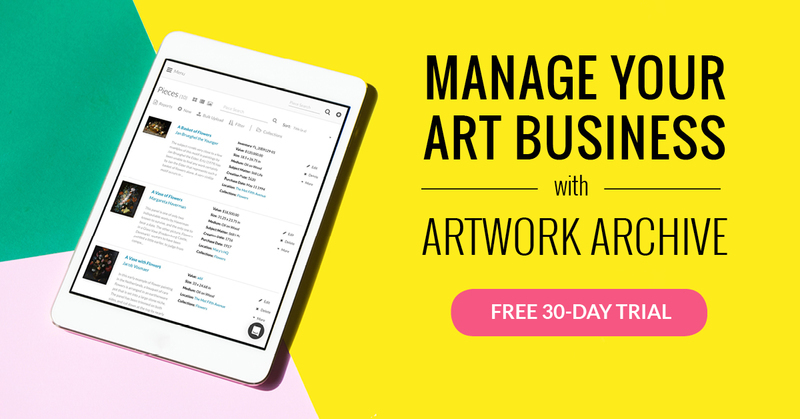 Present yourself professionally with Artwork Archive’s Portfolio Pages. You set up all your social media accounts, you have great artwork, but your followers still aren’t growing. Are you using these methods to gain more fans and buyers? From preparation to conversation, impress art collectors with our top 10 tips for a successful art studio visit. Ever thought about crossing that line from fine art to functional art? We talked with two artists who are dominating the transition.